Heroin is in a class of drugs known as opioids. Many people think that when a person uses heroin they just get high. But that is not the entire story. Heroin, much like any other opioid, produces several unpleasant after effects as well, two of which are nausea and vomiting. Nausea is the discomfort that is felt before vomiting, and vomiting refers to the expulsion of stomach contents via the mouth. 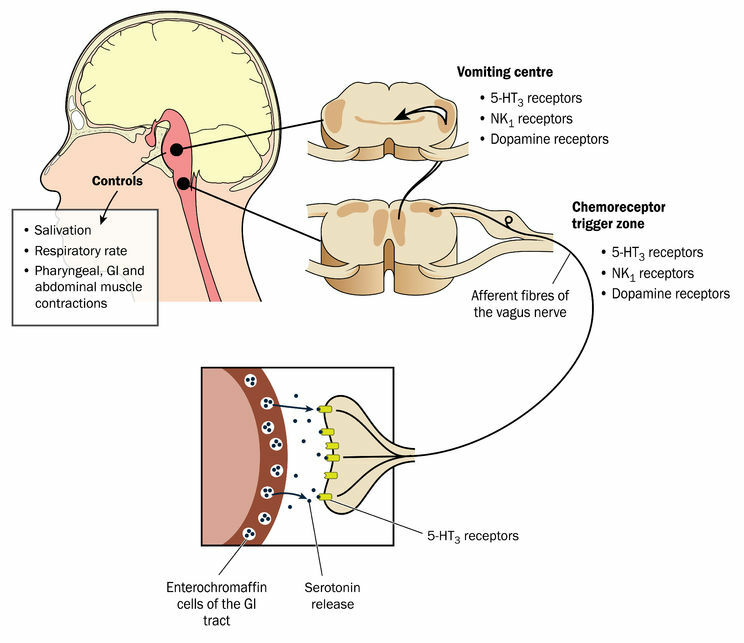 Heroin induced nausea and vomiting are actually normal functions of the Medulla Oblongata. 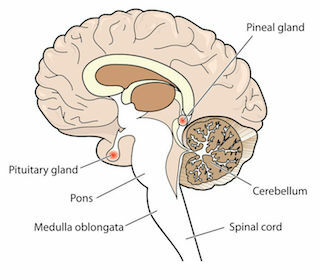 The medulla oblongata is located at the lower brain stem. It runs continuous with the spinal cord, which means that there is no clear delineation between the spinal cord and medulla oblongata, but rather a gradual transition into the spinal cord. The medulla oblongata is also the oldest part of the nervous system, thus responsible for many involuntary functions, such as heart rate, breathing, sneezing, swallowing, coughing, and vomiting. For these reasons, the medulla oblongata is considered the most important part of your brain. The Medulla Oblongata is in a unique position to detect poisonings, because it’s not protected by a blood-brain-barrier. In other words, the Medulla Oblongata is in the one location that can sense opioids before they affect the rest of the brain. It’s actually the chemoreceptor trigger zone (CTZ) within the Medulla Oblongata that detects opioids such as heroin. If a sufficient quantity of opioids are streaming through your bloodstream the CTZ recognizes it as poison. The CTZ then directs your stomach to throw up. A common misconception is to think that the stomach tells the brain it’s going to throw up, when in fact, it’s the brain commanding the stomach to throw up. Abdomen pressure rises and the pressure within the chest or thorax lowers. We know that within hospitals, nausea occurs in 25 – 30 percent of patients treated with opiates. Since heroin involves greater average dosing and subsequent amplified effects, it results in higher than average emetic responses. Another interesting opiate fact is that nausea and vomiting occurs more often in blacks than whites and more often in women than men. Nausea is a highly distressing queasy feeling that may or may not result in vomiting. We know that “tolerance” develops to both heroin induced nausea and vomiting, and over time, both of these uncomfortable effects fade away. Throwing-Up is the expulsion of your stomach contents through your mouth. There are two phases to throwing up, (1) the retching phase, which is recognized by stomach contractions without expulsion, followed by (2) the expulsion phase. 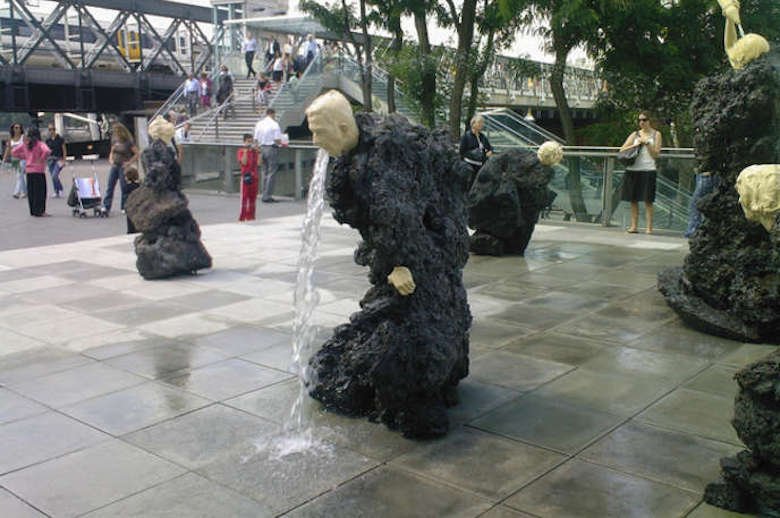 The vomitus is generally highly acidic and malodorous. The first line of defense against opiate induced nausea and vomiting might be to stop taking opioids (painkillers or heroin). Another common treatment for nausea and vomiting is administration of an anti-emetic.